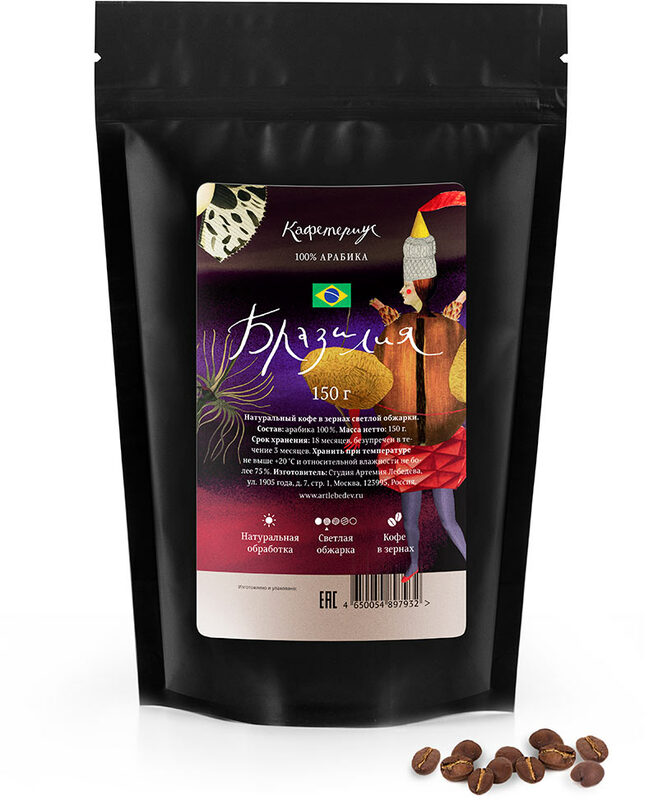 Brazil single-origin coffee is a naturally processed 100% Arabica. Espresso-roasted Brazil beans work great in home espresso machines, while the light roasted ground version is perfect for brewing in cezve, Chemex or French press. 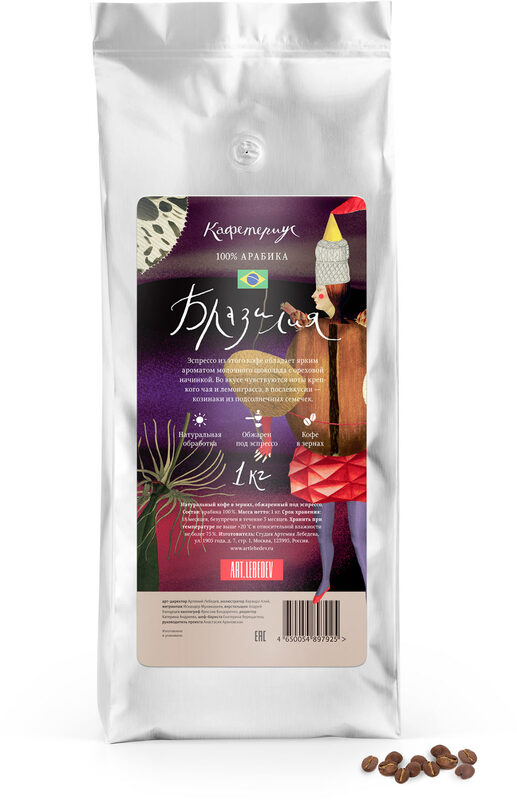 Coffee made with Brazil beans has a bright flavor of milk chocolate with nut filling and an aftertaste of sunflower seeds. The taste has notes of strong tea and lemongrass. 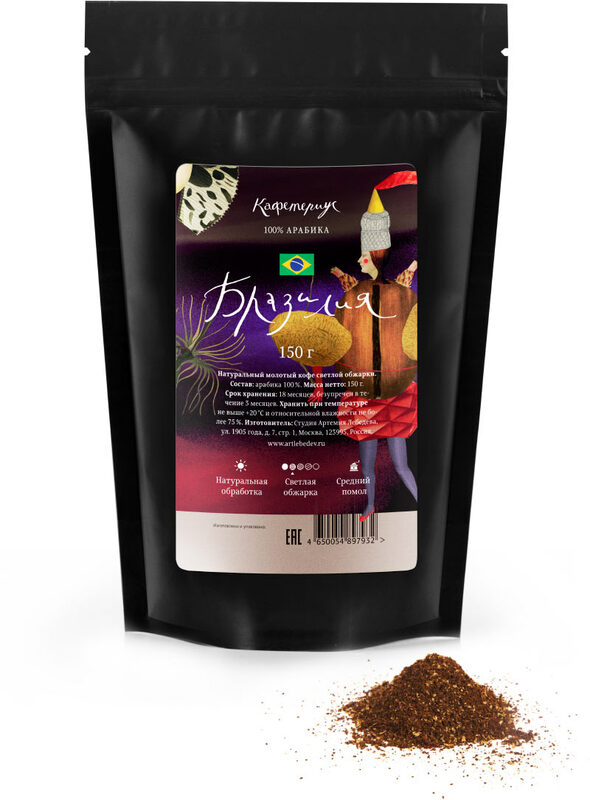 Produced in 1 kg (2,2 lbs) or 150 gram (0,33 lbs) packages of ground coffee or beans.